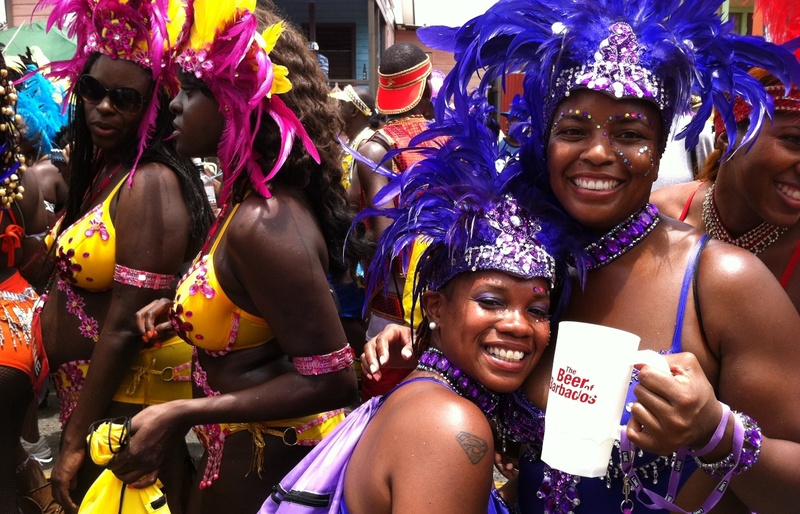 Barbados Crop Over Kadooment day was marked by dancing in the streets, lively music, many feathers, sequins, laughter, and smiles of celebration. I noticed a bit of alcohol flowing as well … but that goes with the territory. I snapped a few photos and put together the short video you see below. Get your sequins ready; here’s a bit of Crop Over in Barbados 2012: Dancing to “Ragga Ragga” by Red Plastic Bag. Looking very nice festival i see the video on your blog very nice.Thanks for share enjoyable movement.